With 2018 quickly disappearing in the rear-view mirror, our attention turns to a new year of delivering solutions that make a tangible impact on the way you engage with your audience – whether through the delivery of interactive forms of content or freeing up internal resource to focus on higher value activities. In the latest release of Forge, the first for 2019, our powerful content management system that drives some of the biggest digital properties in sport, we’ve made some exciting new upgrades to the editor including better control around which users can operate on certain assets to streamlining workflows. Though some updates may seem minor, they’ve been built to solve the day-to-day challenges faced by global sports operators and give greater flexibility around how they manage their online destinations. Success isn’t measured solely in getting more money out of your customers – it’s also about how efficiently you can streamline internal efficiencies and allocate the right people to the right tasks to deliver maximum profitability. 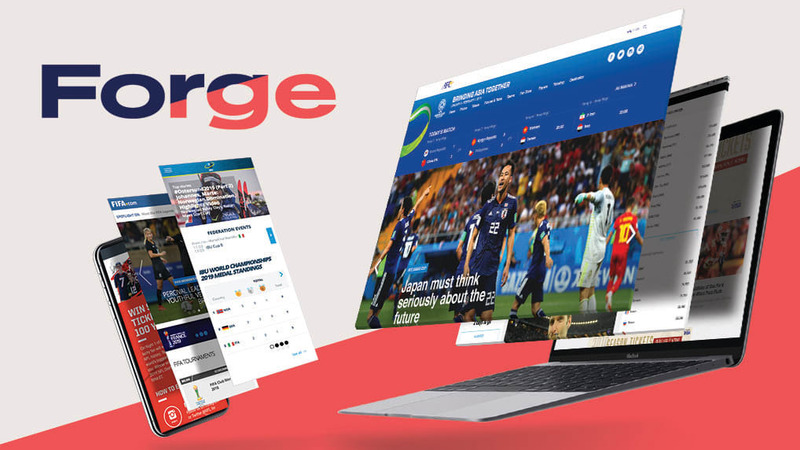 Our latest features enable federations and broadcasters using Forge to outsource editorial tasks to external agencies while retaining complete control over who can edit and operate different pieces of content. For instance, say you want a copy editor only to have access and editing capabilities around the content from a specific event, or even on a mini-site for, let’s say, a specific sponsorship activation – everything else in the CMS needs to remain untouched. Admins can now define who has access to what via the Access Control List through a few clicks. Authorized users will be presented only with the content they are allowed to work on. What makes this feature even more beneficial is the ability to update permissions via the mobile back office of Forge – meaning administrators remain in control even while on-the-move. Now there’s a simplified view for edited photos, enabling operators using the cropping and gravity set functionalities a better overview of the changes that they’ve applied. Now the system will remove the need to select the type of content in the reference fields if there’s only one option available. Once a bulk operation has been completed the confirmation pop-up will automatically close. Our work of updating the process of the underlying infrastructure that anticipates the migration to .NET Core is now complete, meaning that now the Forge SDK can be used on both .NET Framework and .NET Core applications. Ultimately this offers our clients greater flexibility in terms of development and hosting. We’ve worked on reducing the amount of time needed to load site structure, meaning that websites with a large number of nodes now get in front of users quicker, especially during scaling operation on the infrastructure. This release now consolidates how components extending the back office UI are distributed, avoiding using external service (i.e. Rawgit) and proposing a more flexible and controlled solution based on .NET Core. And finally, the latest version of Forge improves troubleshooting by offering richer logging information when using the underlying infrastructure.